Caring for trees since 1996! Give us a call and see why we are chosen time and again for all projects, no matter how big or small – we are here to help! We usually provide our tree services to greater Dublin and Wicklow but we always try to help our valued customers – wherever they may be. Even if your project is further – we certainly have the tools to get there and will do so for the best price possible. Specialised tre-felling is just one of the many services that we provide – safely, efficiently, at the right price and never leave a mess. That is all part of the Davis Tree Services way. We know you want the job done right – first ime and know that your home is your castle and your business always needs to look its best. We treat all jobs with care and skill to ensure that all jobs are done right – first time. We remove all waste and make your home or business look the way it should – for less than you think possible. Simply put; we do it all! 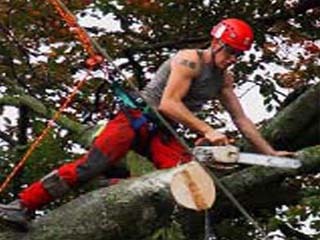 We cover every aspects of tree services and do so at the best price in Dublin. From Small hedge trims to major tree removals, we value our customers – what ever they need done. From big projects to small – we always have the right tools for the job and this is why we can provide top quality work at unbeatable prices. Fully Insured and A perfect Safety Record! Reductions, Trimming and Removals are often required. When we do any work (big or small), we are very cautious and caring of your landscapes and property. We believe that this is a vital part of any good tree service company. 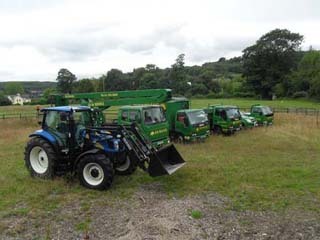 Davis Tree Services is trusted by all its customers and values your premises the way you would. We can get rid of that unwanted bush, tree or stump. Whether you need your garden cleared for safety, sightly, or for landscaping purposes, we have the right tools to get the job done – for the right price. Davis Tree Services can transform your garden and give you back space you forgot was there! Pat Davis of Davis Tree Services is proud to provide the best value for everybody. Small jobs are treated with the up-most care while ensuring that we provide the best possible value at all times. We offer free quotations and are happy to give help on all aspects of gardening – no matter how big your garden. Our Hedge trimming services are second to none. We can use the right tool for the job, no matter the size of your hedge. Our Dublin hedge trimming service is the best in the business and we always do it all for even the smallest budget. 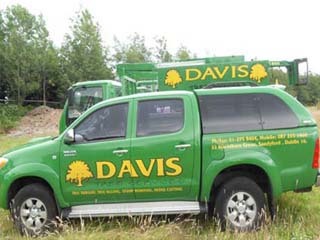 Give yourself (and your neighbours) the hedge you deserve – just give Davis Tree Services a call!